Why the famous British brand needs to realise following market demand isn’t a sign of failure or weakness. First published in the June 2016 issue of Wheels magazine, Australia’s most experienced and most trusted car magazine since 1953. Pun-loving headline writers have been describing new Jaguars as the company’s ‘last chance saloon’ for at least three decades. It’s a cliché, but one that reflects how close to insignificance Jaguar has become with its dismal market share. Global sales numbers are scarily small. Last year Jaguar sold just 84,000 cars around the world, the highest number in a decade, with a derisory 1300 of those coming to Oz. For perspective, it’s now 60 percent smaller than Infiniti, one-seventh the size of Lexus and barely a boil on BMW’s 1.9m backside. If it wasn’t nailed to profit-making Land Rover, which outsells it five-to-one, it would almost certainly have sunk years ago. Even Saab was managing bigger volumes immediately prior to GM selling it. Yet Jaguar is still struggling with its future, a situation that may well be exacerbated now that JLR has merged most management for the two brands. Talk to a senior exec about Land Rover and confidence practically overflows: new models, new markets, new opportunities. Discuss Jaguar and everything is hedged in uncertainty: we could do this, we might do that, it’s possible. That’s because the numbers make it desperately hard to justify investment in niche models. Which, based on sales, is practically all of them. Jaguar’s innate conservatism means it has been late to practically every party in the premium car segment for 20 years: diesel engines, station wagons, SUVs. The fact that the company’s first attempt at a compact executive saloon, the X-Type, bombed was taken by the company’s then leadership as proof it didn’t belong in the segment’s biggest sector. The alternative view – obvious to most outsiders – that the retro-styled, Mondeo-based X-Type was a woeful turkey didn’t get a look in. It has taken more than a decade to launch the XE into the same space. While the Jaguar XE is an excellent car, it’s not the vehicle the market has been demanding. That’s the Jaguar F-Pace, Jaguar’s SUV, which senior execs admit was only green-lit after agonised soul-searching about whether it was right for the brand, and after enthusiastic lobbying by its beleaguered sales divisions. The F-Pace is sure to be a success, but the future of the XJ is now the subject of heated debate. Jag considers the big saloon to be its crown jewel, a direct descendent of the 1968 XJ that practically invented the upmarket sports saloon. But while sales of the current model have been increasing on the back of Asian demand, its 20,000 annual volume makes it hard to justify the massive costs of a replacement. Senior insiders now say it will happen – most likely a V6-powered hybrid spun from the XE/XF’s modular architecture – but it seems another willfully contrary decision given the booming demand for luxury SUVs. Why not build a bigger crossover instead, spun off the Range Rover architecture, and aimed at the space where other luxury makers are concentrating their efforts, where rich buyers actually want to spend cash? Jaguar needs to realise that following market demand isn’t a sign of failure or weakness. Despite approaching its 50th birthday, there have only really been four generations of the Jaguar XJ (pictured above) so far. 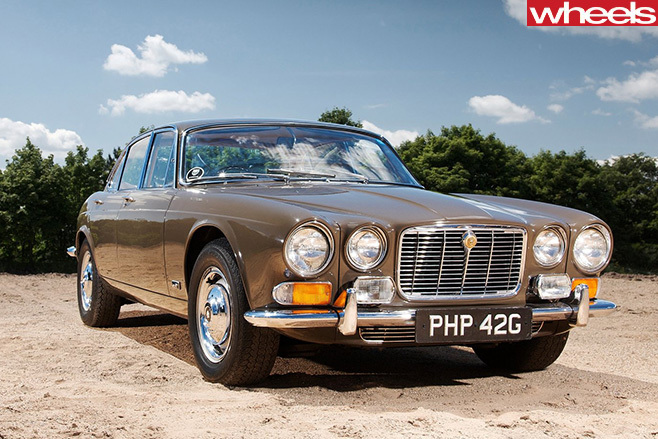 The first survived through updates from 1968 until 1986 (and 1992 in Daimler form) – this despite the fact that development of the ‘new’ XJ40 that replaced it had begun as early 1972. The XJ40 was famous for electrical meltdowns, but two substantial facelifts turned it into a good ’un.